STAGE SHOWS use a range of different gases, electrical equipment, very sharp nails, mindreading, illusion and volunteers to create a non-stop mixture of science madness. Audiences are left with a big smile, a little science learning and a new way of looking at the world. INTERACTIVE DEMONSTRATIONS with smaller groups at tables bring the magic of science even closer. These can follow on from a stage show and incorporate some of the show demos. TEAMBUILDING workshops create challenges in thinking and doing, creating big smiles, furrowed brows and high levels of competition. As an additional extra, we can provide individual party boxes containing cool science stuff and information on how to get the most from it - these can form prizes at the teambuilding workshops, and are a very different option for "thank you" presentations at corporate events. A storm cloud can weigh as much as 200,000 elephants! "Many thanks again for your input. 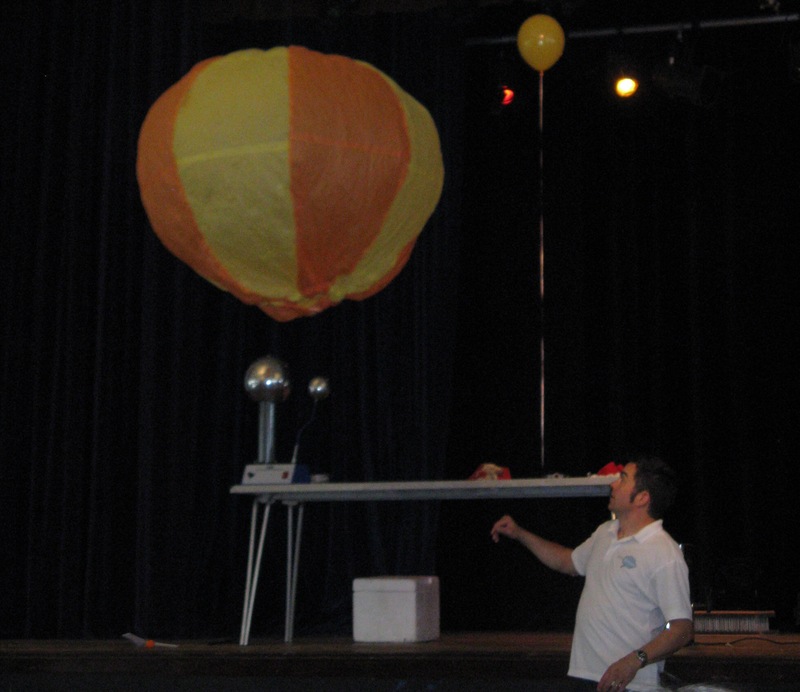 It went really well, the children loved it, the show was brilliant and I was very impressed with your presenting skills!" Carolynne McKendry, East Renfrewshire Council.